Orpingtons were developed from 1886 onwards by William Cook who lived in Orpington – a small town in Kent, Great Britain. The Black Orpington was the first colour he developed, followed by the White and the Buff varieties. Orpingtons are calm, big and fluffy. They come in a number of colours but the Black, Blue, and Buff are most popular. 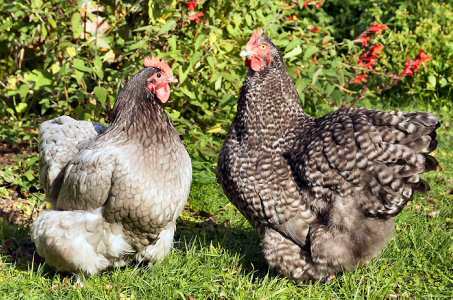 Orpingtons are a heavy breed and a dual purpose fowl. They take eight to nine months to mature and start to lay. Not all colour varieties lay equally well in New Zealand. 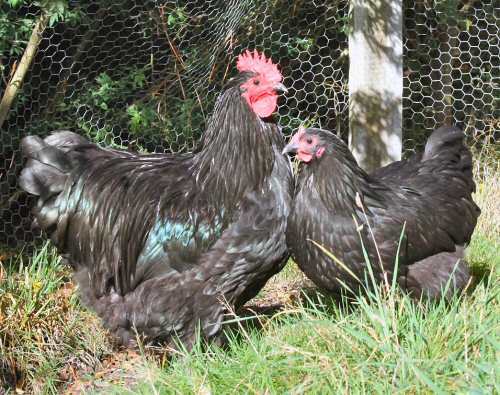 The Black, Blue and Splash lay very well and pullets, who lay more than 300 eggs during their first season, can still be found. 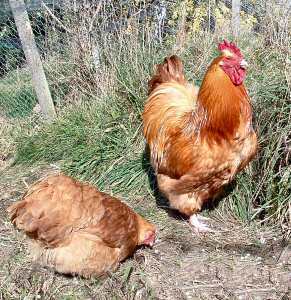 The Buff Orpington does not lay as well as the other colour varieties. Orpingtons make ideal backyard layers who are well suited for both free ranging and being kept in a run. They are one of the heaviest breeds we have here in New Zealand and a 900 millimetre high fence usually keeps them in unless they come from a free range home. Due to their loveable nature and good laying qualities the Orpingtons have made a come-back here in New Zealand and are relatively easy to come by. They do go broody – typically when we get hot summer days – and make good mothers. The roosters tend to be docile and look after their hens well.